I made filo pastry this week - from scratch! When it's so easily purchased from the supermarket - why go to the trouble you may ask! Well, firstly, my mother-in-law taught me. Secondly, it's quite easy to make. Thirdly - and most importantly - handmade filo is so far superior to the supermarket variety that once you've tried it you will not buy another sheet! Marrying into a Greek family I have come to love and appreciate the beautiful flavours of Greek food, and am keen to learn the secrets and techniques in order to prepare food that is authentic in every possible way. I have increasingly valued my family's culinary history - and that of my husband's family - since the loss of my parents several years ago. It was only then that I realised that there were many precious, memory laden recipes that I didn't know, didn't have a copy of, and had now missed the chance to record. My wonderful mother-in-law - an amazing cook and now 87 years young - has no daughters to pass her family recipes and culinary history on to - and I am her only daughter-in-law. I feel privileged to be the custodian of recipes that have been handed down through generations of mothers to daughters in her family. In the past I have kept family recipes in my tattered and stained 'Brown Book'. Reading through it always brings back wonderful memories. Family recipes include ones named Aunty Faye's Biscuits, Aunty Valda's Asparagus Quiche, Mum's Apple Slice, Gran's Cheese Pie and Great Grandmother's Wedding or Christmas Cake. 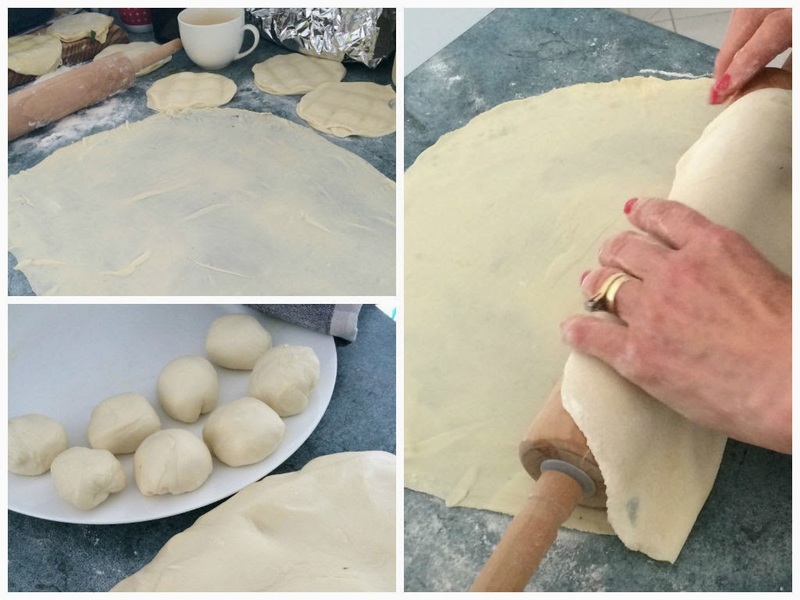 Last year I started my food blog Apricot Tart as a place to record my favourite recipes. I've decided that, as means of paying homeage to all the great cooks in my family, I will also begin recording precious family recipes here as well . What is your family's culinary history? How are precious recipes recorded and shared among family members? ... is to track down, record and share a precious family recipe that you would not want to be lost to time. You might even want to make the recipe for old time's sake - and reacquaint yourself with an old favourite! I would love to hear about what you save!